Porcupine can’t wait to share Fall Feast with her woodland friends, so when everyone she greets is unable to bake their specialty due to a missing ingredient, Porcupine generously offers staples from her pantry. When Porcupine discovers that she, too, is missing a key ingredient, the friends all work together to create a new Fall Feast tradition. A recipe for “friendship pie” can be found at the end of the book. 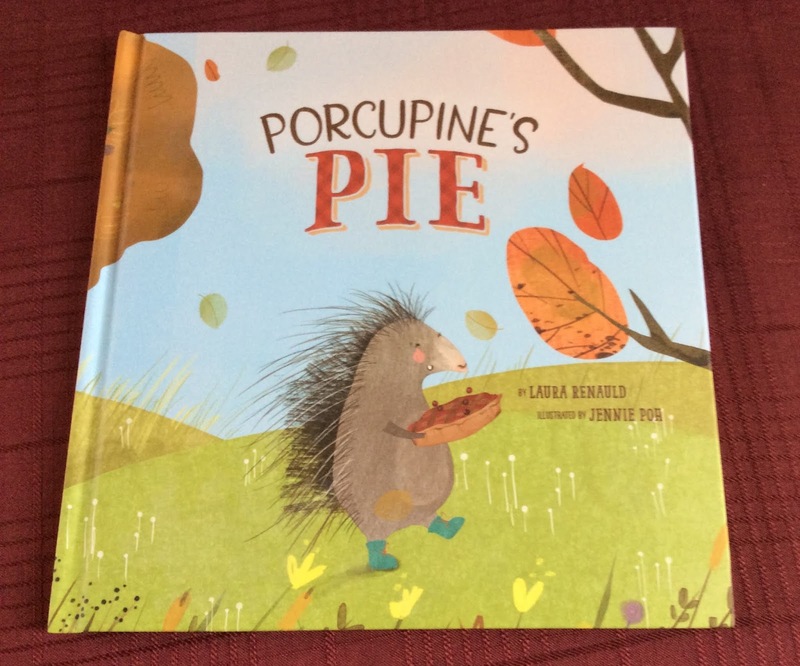 A debut picture book from author Laura Renauld and illustrated by Jennie Poh, Porcupine’s Pie is the winner of the Beaming Books Picture Book Contest. A hardback book that's being released today (October 9, 2018), Porcupine's Pie tells a story of friendship, togetherness, and generosity. Porcupine is on her way to the river to wash the cranberries needed to make her Famous Cranberry Pie for Fall Feast Day. Along the way, she encounters other woodland creatures and inquires about the foods they'll be making for Fall Feast Day. The animals don't have all the ingredients needed for their stuff, so Porcupine generously offers what she has. Once Porcupine reaches the river, she realizes she's lot all the cranberries in her pail and has none to make her famous pie. She becomes quite happy when the animals who she helped earlier come by with extra food they had on hand, and a handful of cranberries. Rather than make her Famous Cranberry Pie, Porcupine decides to instead make Festive Friendship Pie. Being that is is the Fall season and Thanksgiving is upon us, Porcupine's Pie is a perfect seasonal book for young children. There's even a fairly easy recipe for Friendship Pie, which is a dessert you might be inspired to create with your child after reading the book. 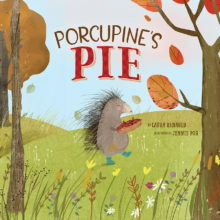 One person will win a Porcupine's Pie children's book. I received book for review from Beaming Books. The opinions within this post are of my own and I was not influenced in any way. Please do your own research before purchasing products or using services. Your opinions and results may differ. I like Organic Pumpkin Pie the best. I love pumpkin pie the most. I like Apple pie (with ice cream)! Pumpkin is my favorite type of pie and it is the season. I make a mean rhubarb custard pie with fresh stalks. I love all pie except mincemeat. Mincemeat is yucky in my humble opinion. it's so hard to choose just one kind of pie, as I love so many. I think my favorite, though, would be Key Lime pie. I like chocolate peanut butter pie. My favorite kind of pie is strawberry rhubarb - yum!! "Leave a comment on this blog post with your favorite kind of pie." There's a kind that involves apples, but it also involves another ingredient or two and is so fantastic that I'm going to keep the exact kind of apple pie under wraps as a kind of state secret. Pumpkin for sure. I never make them though. I always messed up their crust. My favorite kind of pie is cherry! Of course, I will pretty much eat any kind of pie except pecan. My favorite pie is sweet potatoe. My favorite kind of pie is key lime! I also like apple pie alamode! I love apple pie with walnuts. I like peach pie best, especially with fresh local peaches. Well, all pie is good. But peach is one of my top favorites. I'm going to Key West next month to savor my favorite pie: Key Lime! My favorite pie is Key Lime pie from Publix! Yummy! Banana Cream pie is the best. Good old fashioned apple pie will always be my favorite! My favorite kind of pie is blueberry pie. I like sweet potatoe pies. Looks like a cute book. I love apple pie with vanilla ice cream. Thanks! my favorite kind of pie is cheesecake! Pecan pie with vanilla ice cream. I like pecan pie and lemon supreme pie!